hi this my first post. 4 Star Club Lyda Hotel Promo Studio All Inclusive Check in 18th May 2012 7 Nights forgot to mention including baggage, insurance and transfers. yes sorry, just search for holidays for 18th may and from birmingham airport you will find it there. Erm, the link is only taking you to the website, not the exact holiday deal. Will I have to search for it? Add me in! Heat added! A week of drinking and eating...and around the pool will not suit everyone...but right about now i could do with that. i have received confirmation of my holiday, 2 people half board total cost 138, thank you op :-) excited much!! did you book it as I am getting error code. priced as £94 now. still reasonable. just been on a "on the beach holiday" they changed hotel 8 days before holiday from a good superior room 3* hotel to a poor standard 3* hotel further from the beach ,complained to ABTA but they get round their conditions because they pass onto another agent who isn`t with ABTA`s and does not have to adhear to their guidlines BE WARNED! We booked this holiday. When it came through it was another village with the same name apartments, not so good. So rang Sales, they said to ring 0871 number, I refused as it was their fault. Got put through to Howard, a very pleasant and helpful man. Their IT had got it wrong, we were offered the option to choose another hotel and get back to them. This hotel was I think £44, we chose one at £120, and only half an hour away from Chania. They changed it, no problems. I think it depends who you get, On the Beach, ask for Howard, he was fantastic. So we got our week away, with all taxes etc. for £150 for the two of us, brilliant deal. Hotel was OK, much the same as most basic hotels in Greece, no problems although if it had been summer weather at night no air con would have been a problem. But as it was we had hot days and cool nights. I "booked" with them and they called up saying the flights had gone up and I had to pay more. Told them to shove it, they were downright rude and I too wouldn't touch them again. I tried to change a date on flights the same day i booked them and was unable to speak to someone with any compassion. A family member was ill. I lost all 3 flights because it was too expensive to change details. Disgusting company. Would never use them again. I would never ever ever book with on the beach again. They added bags to my booking I didn't want, added taxes and charges that were not shown on the booking form and were IMPOSSIBLE to talk to by any mechanism. I ended up cancelling as I refused to be taken for a ride by their ridiculous small print that ran to several thousand words and got my cash back through my credit card company. I also made sure Manchester trading standards were aware of their dubious web site process and dodgy booking conditions. They had a number of visits by trading standards and a severe rap on the knuckles. Buyer beware !!! Crete Cushion Stripe Lilac, Leaf Lilac or Berry 43cm x 43cm £2.50 @ Wilkinsons Free delivery to store Cheap and cheerful way to update a room. When did I mention anything about nationality? All I said is that it was a chavvy place (my opinion). We arrived, we didn't like it, we left. Seemed like a horrid place compared to the other beautiful places you can stay in Crete. Tempting just for the flight, hot deal. Have to laugh at all the comments about other Brits abroad. My family are half Greek (hubbys side) and when we've gone over to visit they've asked me why the British are always dropping their pants and showing their bums when on holiday in Faliraki! What to say oO?? Very hard answering for my fellow countrymen (and women (_;) ) sometimes. Spot on! Can also recommend Elefonnissi, Agia Marina, Almerida and Kournas Lake. Avoid Malia which is an 18-30 dump. Nice days out are Chania &amp; Rethymnon but wouldnt want to stay there as far too busy / traffic. 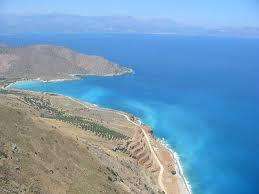 Crete is a most beautiful Island, so much so that i go twice a year every year. A car is a must. Even if you are AI it's so cheap to eat out and about in the traditional cretan villages away from tourism....you wont need much extra cash at all. We go to Sissi each trip on one occassioon for lunch or breakfast and a walk around. Its beautiful. Yes it is quiet, but its something different. The Vasia Beach is a nice hotel, but very busy and in a small area. If you are lucky enough to get a private pool with your room then this wont be an issue for you. Dont be put off by what people have written on here. Go for it! And if you dont want to go AI, i can recommend Stalis, Plaka (East &amp; West of the Island), Geourgopolis, Vamos, Gerani, Matala, Kissamos. The Southern side of the Island is less affected by tourism and very beautiful. Crete has everything for everyone! Well, I stayed Half Board when I went to Sisi, but not everyone who goes AI is happy to stay within the confines of their hotel 24/7... it's often nice to go out and explore on a daily basis and there's not much to explore in Sisi. A car is a MUST if you've got any desire whatsoever to see more than a handful of very quiet tavernas and the small harbour; there's nothing within walking distance of Sisi. Having said that, our hotel (the Kalimera Kriti) was really in the middle of nowhere. Stalis is nice enough, but it is exactly the same as every other seaside holiday resort around, it has no character. Sisi has character, it is more about just finding a nice spot and relaxing. The Vasia is pretty much in the middle of the first part of Sisi and the habour is about a 2 minute walk. For anyone who voted cold, i would very much like to know where you can get this package cheaper for 2 people in July. Thank you. Cheap as chips and a very hot deal,the only thing that puts me off is you don't know what resort/hotel your staying in not everyone is bothered but I'd be skeptical. Site won't let me add heat at the mo, dunno why? Better than going from Heathrow/Gatwick - great find! dont suppose you ever come across any deals for 5 sharing,on your eternal search for the cheapy holiday ? same holiday, but from 13th july for 7 nights for £138.00 . No sorry we don't. We bought land there about 20 years ago and built the villa. My parents spend the whole summer there from April to Oct. Maybe you can get a meal for 2 for £20.00 in the cheaper tourist areas but we tend to avoid them. i went on this holiday to crete, it was absolutely amazing,clean rooms right on the beach, and close to tavernas and shops, hope to return next year,iam retired so will be looking for a late deal . yeah stalis is about 20 mins walk but stalis is a big place and most of it on 1 road (called Beach Road) and this is a long road would take you 45mins to walk from malia to the end of stalis. Also take my word for it the hotel looks great on the web site but when you are there it is a total S**T HOLE, I only landed back home this wed 23th sept, so don't know what standereds other people have but i guess you get what you pay for!!!! Thats why we just used it for the flights as it was alot cheaper than just booking flight on its own. Stalis is in walking distance... perhaps i should of put that in capitals as well. About a 20 min walk for most able bodied person. Fantastic price, as long a malia isnt as bad as kavos, what a dump! good price...sounds like a 18-30s (35 in this case) club however. :oops: can i have some heat now ! nope expiring as none left. yep, my bad although there is no way platanias is 10km from the airport. more like about 20-25km as been there 3-4 times. lovely place though. about £25 each way in a cab. Missing Pound sign on my keyboard! Debenhams Plus - are they legit? On street parking, No return within 2 hrs- What does it mean? Has anyone tried the Valspar paint from B&Q? How much (on average) does it cost to tint rear windows on a car/mpv? Hearing the neighbours tv through the walls.. . Anything you can do ? Amazon delivery due today not dispatched? Is there a way to watch sky in another room without subscribing to Sky Multiroom?